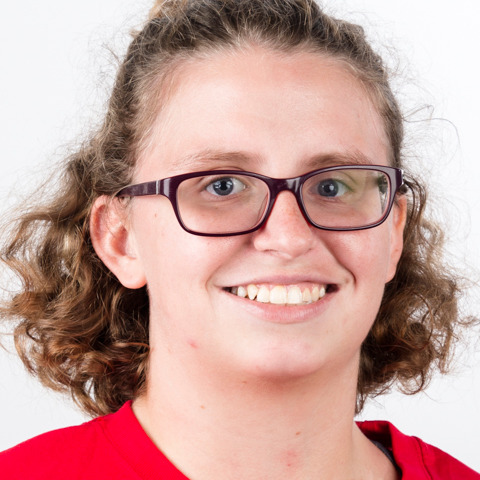 Brianna Whorl has been with Special Olympics for two years and last summer won a gold medal in tennis at Special Olympics Pennsylvania Summer Games at Penn State. She admires her family for the support they give to her, especially her sister. In tennis, she looks up to Roger Federer for his style of play and practices both at the Ebensburg Tennis Center and in her driveway. An employee at the Cambria County Association for Blind & Handicapped, Brianna recently threw out the first pitch at a Phillies game and is a black belt in karate. She’s also an avid horseback rider and loves going to the movies, writing and listening to music. "It means a lot to me because I can compete with people from other countries and make friends from around the world," she said.